Ibiza Town, or Eivissa, as it is called in the local language Catalan, is the island´s largest town. The gorgeous and unique UNESCO world heritage site is brimming with interesting people, lovely bars as well as restaurants and exciting clubs to go to. Shopping is fun, the nightlife legendary and every summer many celebrities are coming here on holiday to hang out on their luxury yachts in front of one of the scenic beaches. Just contribute to this scene by renting a sailing yacht or powerboat on your own or with your friends. 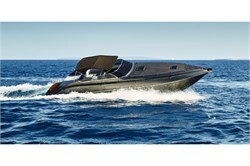 How to get there when you are planning a bareboat charter in Ibiza Town? One option to make your way here is to fly directly to the international airport that is located only 7 km from Ibiza Town. In summer especially it offers many connections to big European cities. Ibiza town and San Antonio, the second largest city in Ibiza, also have a very good ferry connection from and to the neighbouring islands, as well as to the port cities Barcelona, Valencia and Denia on the Spanish mainland. To Valencia or Alicante it is 100 NM and to Barcelona 160 NM. The neighbour island Formentera is a mere 11 NM away and Mahon in Menorca, the second largest Balearic Island, about 140 NM. Should you not find an available charter yacht in Ibiza, it is possible to fly to Mallorca and hire a charter yacht there. From Palma de Mallorca it is about 70 NM to Ibiza town. Which marinas are there in and around Ibiza Town? 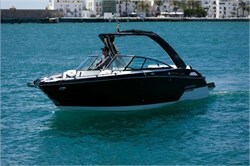 Very centrally located at the foot of the Old Town are the Club Nautico Ibiza and the Marina Ibiza Magna. From here you can walk directly into the huzzle and buzzle of Ibiza Town. 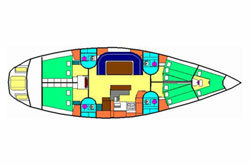 The exclusive Ibiza Magna offers many services and has 85 moorings for yachts up to 60 metres in length. Here you find the swankiest superyachts moored up and may easily spot some celebrity on board. Ibiza Yacht Club, or Club Nautico Ibiza is the second oldest port on the Balearic Islands and features 300 berths for sailboats or motor yachts up to 18 m as well as many facilities. The non-profit club has a long tradition and offers many sailing courses. In modern Marina Ibiza there are 539 moorings, most of them for yachts up to 60 m. Yet it can also host mega yachts of up to 100 m length. Here you find a boulevard with shops, restaurants and beautifully landscaped green spaces. More facilities include fuel supplies and 24 hour guarded parking. It is situated on the northern shore of the port of Ibiza and it is a 20-minute walk to the centre of the Old Town. The flair is very exclusive and in the immediate vicinity you find a lot of luxurious clubs and restaurants, i.e. the famous "Cipriani". The trendy and popular Marina Botafoch lies just adjacent to the Marina Ibiza and has 428 berths for boats up to 30 m length. There is a variety of services and shops as well as many restaurants and bars. 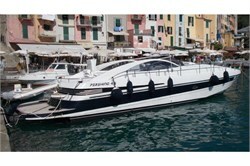 Very useful is the ferry service that goes directly from Marina Botafoch to the harbour promenade in the Old Town. Here, as well as in all other marinas in Ibiza it is essential to book ahead as there is such high demand for moorings in summer. The Marina Santa Eulalia on the east coast, 15 km from Ibiza Town, has 755 moorings for boats from 6 -22 m length. There are many services available like travel lift, crane, gas station and 24-hour security. Other features include a shopping centre, restaurants, cafés and nautical shops. Club Nautico San Antonio, on the west coast, 19 km from Ibiza town, offers another 578 berths for ships up to 50 m. It is newly renovated and has a lot of innovative services. And Puerto de San Antonio has 245 for boats no longer than 30 m. This popular fishing, marine and commercial port contains a gas station as well as many repair services. 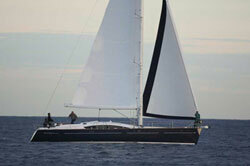 What other highlights are there in Ibiza Town apart from sailing yacht charter? There is absolutely no shortage of fun things to do here. What many people don´t know is that even in winter there is an abundance of festivals, or fiestas as they are called in Spain. On January 6th, Three Kings Day, there are big processions everywhere. Then there is San Antonio, a huge Flower Power party, that normally takes place on the first Saturday following the Three Kings Day. There are many more fiesta days in January and it is a much more quiet time to visit the island. The daytime temperatures are around 17 degrees on average but rarely fall below zero. You could take the opportunity to visit the beaches or the sights with hardly any tourists around. If you come here in summer for a bareboat charter in Ibiza, you can easily combine sailing with sightseeing. The Old Town, or `Dalt Vila` is a mesmerizing labyrinth of cobblestone lanes, quaint as well as stately houses and a myriad of charming restaurants and bars. There are some highly exclusive eateries. Here you can sit and do some people watching - there is no better place in the world for it. Or you could visit the stunning Castle of Ibiza as well as the Catedral de Santa Maria and there are many galleries and museums to choose from. In addition, you can find a lot of quirky boutiques that make shopping here very colourful and interesting. The nightlife in Ibiza Town is more vibrant than in any other place in the world. Many famous DJs have residencies here and clubs like Pacha, Space, Amnesia or Ushuaia have hosted the world´s most renowned DJs. And in the daytime there are some very stylish beach clubs like Nassau Beach Club or Nikki Beach where you can sunbathe, swim, wine and dine. The Lio Beach Club features an amazing Cabaret Show and you can head to the famous Café del Mar, where chill-out music was taken to another level. Water sports facilities are never-ending: Go scuba diving, snorkeling, parasailing, take a jet ski, or go kayaking. The Aguamar Water Park near Ibiza Town is an attraction for families and the Parque Nacional de Ses Salines offers impressive landscape and it is great to take children sunbathing as there is a very safe swimming pool. 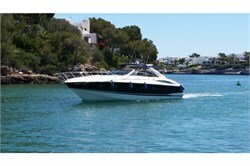 What possible day charter trips are there from Eivissa? 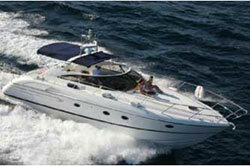 There are numerous possibilities for day charter in Ibiza or for beach hopping - on a party boat or a normal sailboat. The western coast - the leeward coast - has many smaller islands and beautiful coves with beach bars and facilities to anchor. The island Es Vedra with its characteristic pyramid shape is enormously popular. Then there is lovely Cala Jondal with the Blue Marlin and other highly frequented beach clubs. Cala Compte, a beautiful beach on the western coast, is said to be best to watch the sunset. Also recommended are Cala Bassa and Playa Cala Salada near San Antonio. Sa Caleta, an ancient Phoenician settlement together with the natural park of Ses Salines was declared World Heritage Site in 1999. Ses Salines, the long sandy and exclusive beach with coloured buoys to anchor is also the most southern point of Ibiza and closest to Formentera. From here you can head to Espalmador, a privately owned island north of Formentera. It boasts naturally therapeutic mud springs and a white, unspoilt sandy beach with a pink edge due to an adjoining coral reef. It is a complete paradise and a protected World Heritage Site. Enjoy the view of the breathtaking scenery and lots of anchored superyachts in summer. And on Illetas Beach in Formentera you can find some fine fish restaurants on the dazzling white sand, go shell seeking or play water sports in the aquamarine sea. This is the stuff dreams are made off! Which yacht charter providers are there in Ibiza Town? The charter providers in Ibiza Town are Ocean Dreams Mediterraneo, Smart Charter Ibiza, Splash Catamaranes - Lost Paradises and Vesta Charter. 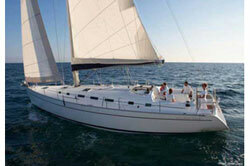 You can opt for a bareboat, a skippered or a crewed charter. The average charter week is around 3,184 €. Another option is day charter. 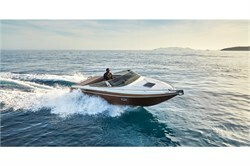 To rent a powerboat up to 10 m is between 500 € - 1,000 €. 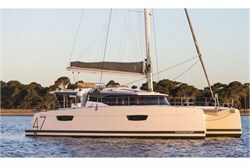 You can use YachtFinder to compare the best offers. 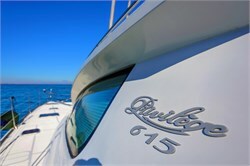 The only thing you need to decide is whether to charter a sailboat or do motorboat rental. We hope you find this information regarding yacht charter in Ibiza useful and are at your disposal if you have any specific questions. So go ahead now and enjoy your perfect sailing holiday. We wish you a nice cruise!